Vanavarayar Institute of Agriculture was established in Manakkadavu village in 2007.The college is situated 19 kms away from Pollachi in an area of 250 acres having good water resources throughout the year. Our college is affiliated to TNAU Coimbatore. At present the VIA offers four year professional B.Sc (Agri.) degree course and two year Diploma in Agriculture course with a sanctioned strength of 120 in B.Sc. (Agri.) and 50 in Diploma in Agriculture. The total student strength of VIA is 697.Out of which 400 are girls. Tamil Nadu Agricultural University is about to declare a notification about TNAU Admission in both the UG & PG courses. Students who wish to apply for the admission in the Under Graduate UG/PG Courses provided by the TNAU they must fill the online application form before the last date. Aspirants who have completed their higher secondary examination and are the holder of 12thmark sheet or Equivalent qualification are eligible to apply for the TNAU UG program B.Tech/B.Sc. Completion of Under Graduate for any recognized university/college is must to get admission under PG courses. Applicants should not be more than 21 years at the time of admission. There is no age limit for students belong to SC/ST & SCA. Students will we selected through the counseling process. The counseling is done every year in the month of July. The counseling will be conducted on the basis of rank list and its commencement will be done in three phases on various dates. Assess the official site to tnau.ac.inand search for the admission link then click on Apply online link. 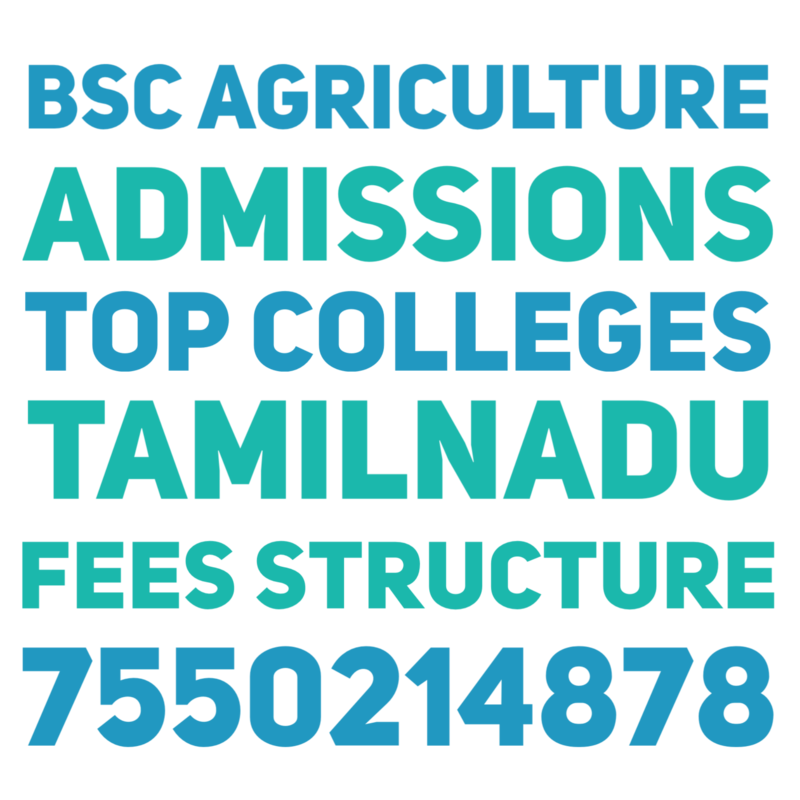 Enter the required details in online Tamil Nadu Agricultural University Application Form 2018 application form such as name, DOB, contact number, e-mail ID, temporary address and permanent address. Attached your necessary documents like ID proof, certificate of graduation address proof etc. After this your User ID & password will be generated to you. Choose the appropriate campus and college name as per your discretion. Thanthai Roever Agriculture College is an educational institution run by the St. John Sangam Trust Thanthai Roever Institute of Agriculture and Rural Development (TRIARD), one of the Roever Group of Educational Institution was started to offer courses in Diploma in Agriculture during the year 1994, later Diploma in Horticulture was started during 2001 and B.Sc. (Agri) degree course during 2008. The college has an area of 51.97 ha(128.4 acres) for the practical training of the degree and dilpoma students and to have crop cafeteria for the benefit of the students to see and know the different crop varieties. The SRS Institute of Agriculture and Technology is befittingly placed at Vedasandur in 110 acres to cater the needs of farming community and young aspirants to learn scientific agriculture under the aegis of Sri Rama Supreetham (SRS) Trust, Salem.This college is affiliated with Tamilnadu Agricultural University, Coimbatore to impart a need-based, region specific, quality education in agriculture.Dindigul district is endowed with rich flora and fauna and varied agro climatic conditions from semi arid to sub tropical supporting intensive agriculture both in irrigated and rain-fed situations. The agricultural diversity provides opportunity for different cropping systems, agri-horticultural systems and agro-forestry with animal components for better lively-hood. Sethu Bhaskara Agriculture College is situated in a sprawling campus of about 234 Acres of land, one of the biggest in Tamilnadu and is affiliated to Tamil Nadu Agricultural University ( www. tnau.ac.in ) popularly known as TNAU located in Coimbatore , Tamilnadu – 641 003.Our managing trust believes in empowering farmers with the necessary scientific inputs. The trust also believes in state of the art research in the domain of agriculture and related areas. It believes in making the students as LEADERS of knowledge with over all development.With this as the aim, the trust has senior international academicians, international expert and professional floriculturists, industrialists and philanthropists as its Managing Committee members. Sivagangai District – 630 306.